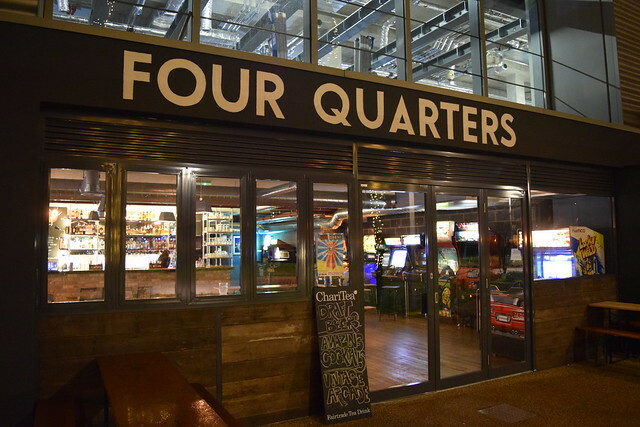 I recently checked out the new branch of the Four Quarters in Hackney Wick, East London. 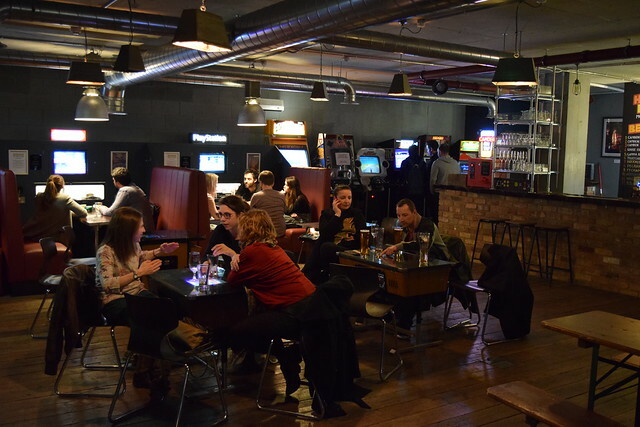 Located by a quiet canal, it’s a stark contrast to the busy streets of Peckham. 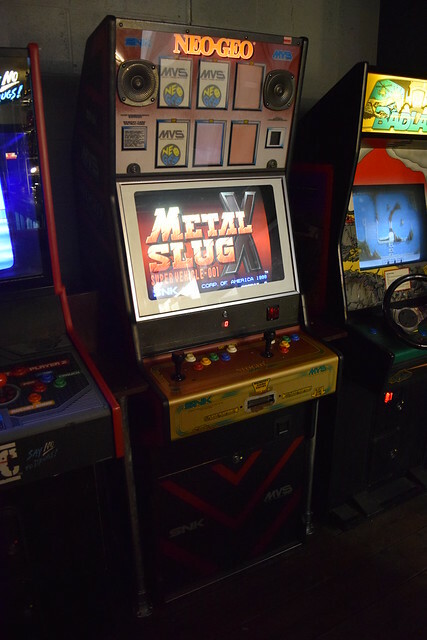 The new venue has a nice selection of arcade titles. 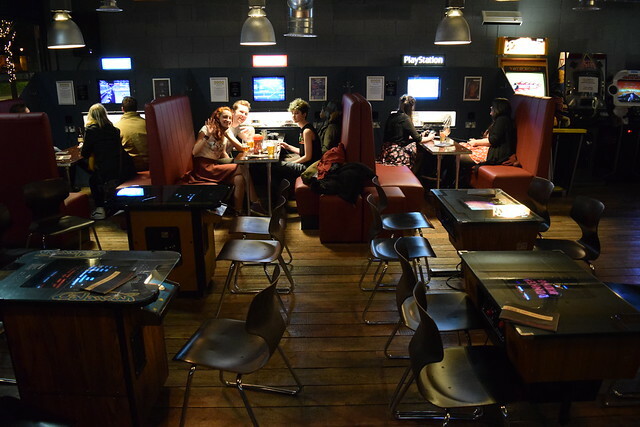 Like the Peckham branch, the arcade games are set at one quarter per credit, with quarters available from the bar priced at four for a pound. 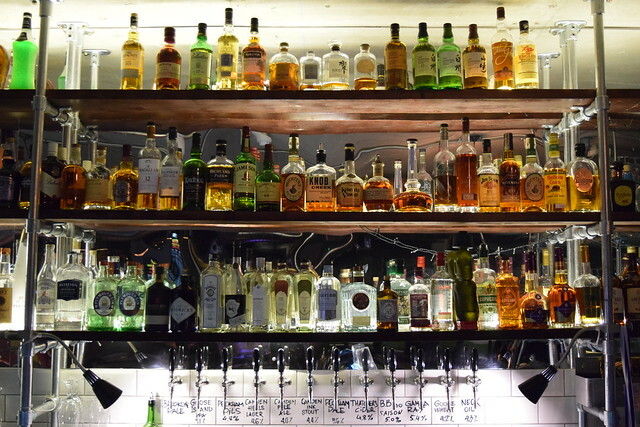 The bar is well stocked with a good selection of draft beers and cocktails. I even spied some quality Japanese whiskies. Here are my gaming highlights. 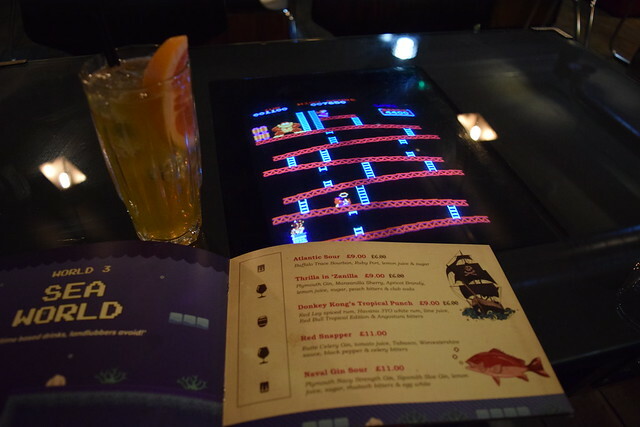 Donkey Kong cocktail on a Donkey Kong cocktail cab! 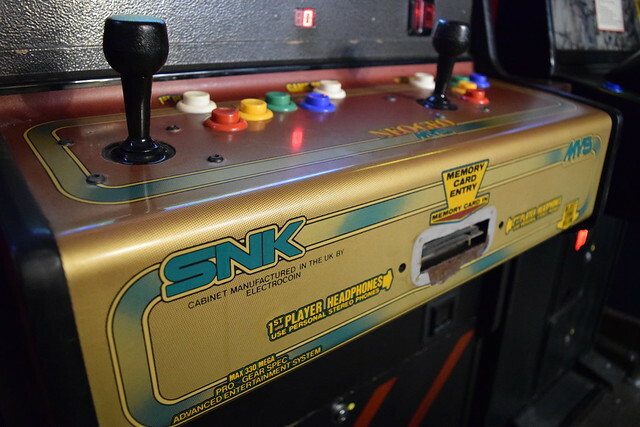 I have recently picked up a Donkey Kong cab which needs a bit of work, so it was great to get some practice in. 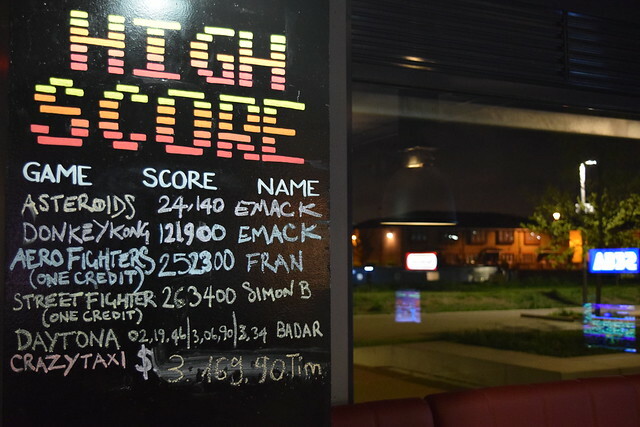 Unfortunately Donkey Kong’s Tropical Punch didn’t improve my game, but it did contribute to an impressive hangover the next day. 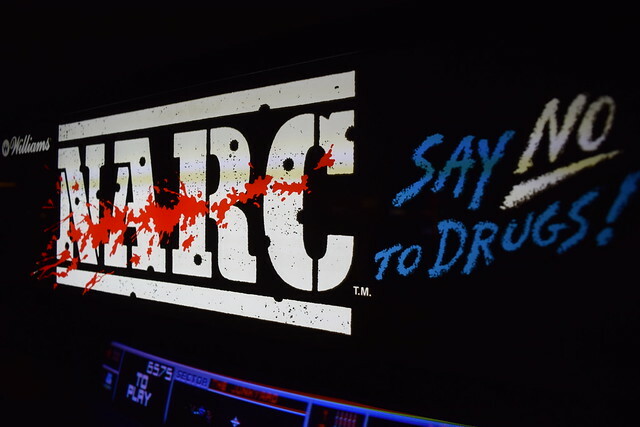 Take to the streets and kill all the digitized bad guys as you take on The Drug War. This couldn’t be further from the pixel perfect precision gameplay of Donkey Kong, and seemed far more agreeable after a few beers and cocktails. 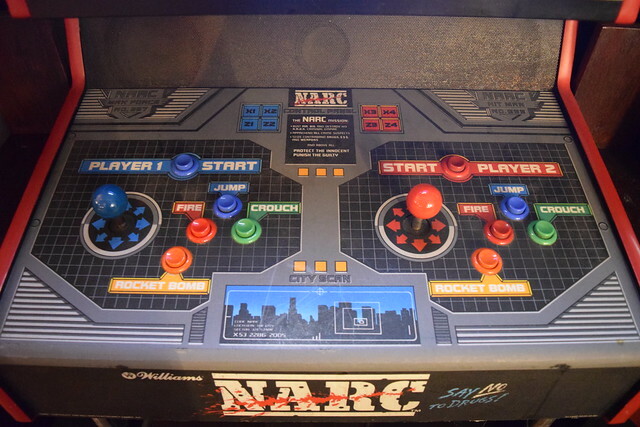 I had wanted to play Narc ever since seeing it in Shredder’s layer in the original Turtles movie. Chase H.Q. 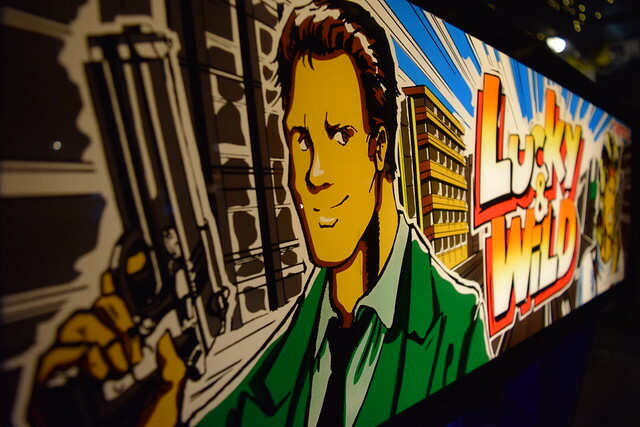 meets Operation Wolf in this fantastic Namco classic. 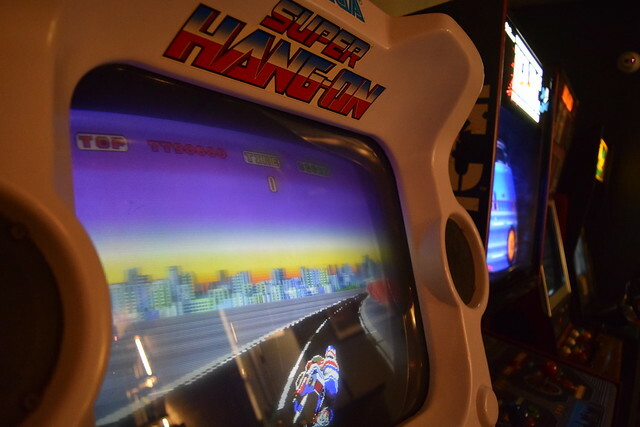 It was great to play this Yu Suzuki ‘Super Scaler’ 80’s classic. I love the cabinet design. 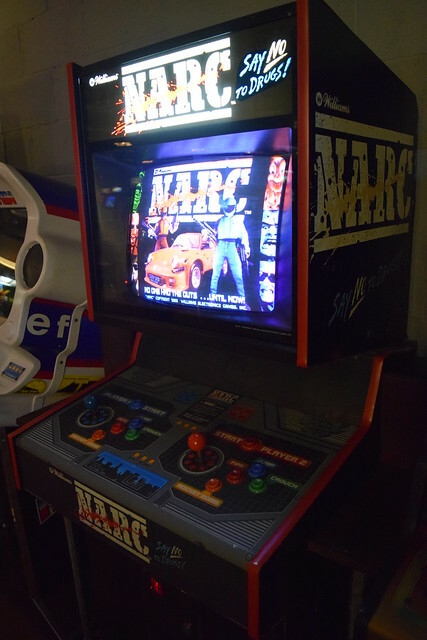 The Electrocoin Neo Geo MVS cab had a nice selection of titles, including Aero Fighters 2, Fatal Fury 2, King of Fighters ’98, Metal Slug X, Neo Turf Masters and Pop ‘n Bounce. 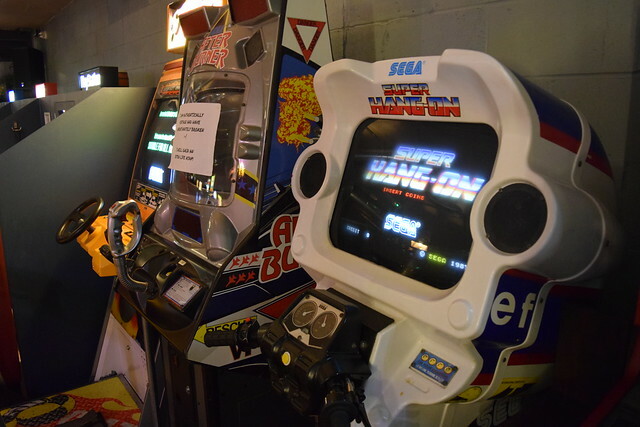 The Nintendo, Sega and Sony console booths proved popular. 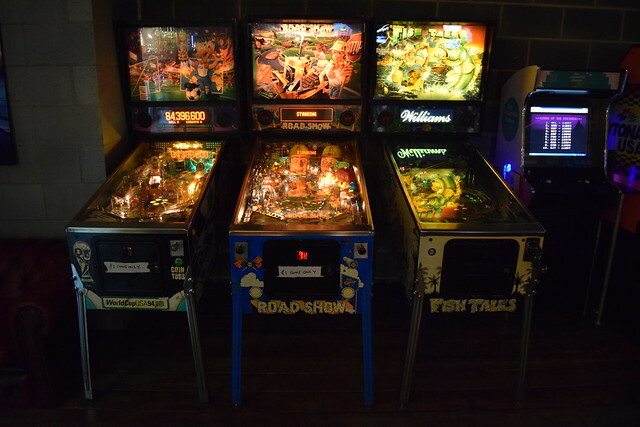 The venue also has some cool pinball tables. 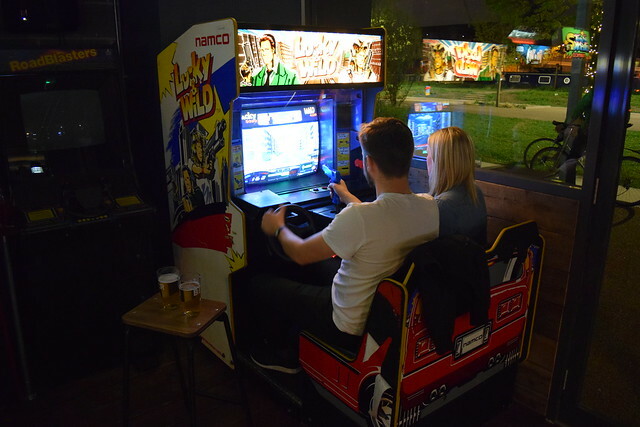 With a fantastic selection of arcade games, a great vibe and friendly staff, and an excellent range of beers and cocktails, I had an awesome time at The Four Quarters East. This looks really good. 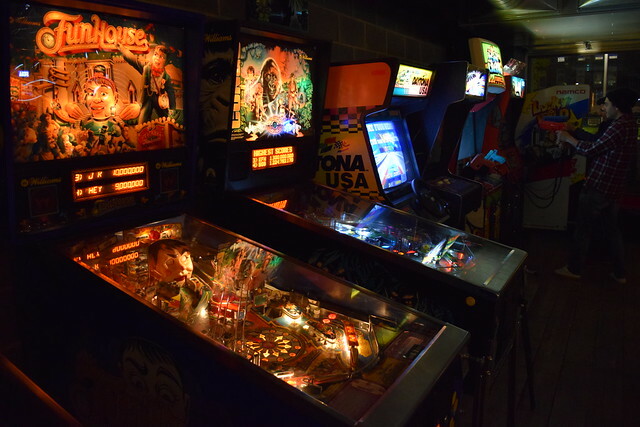 I've been to the other Four Quarters, overall it was nice but I didn't really like the games on offer. This second one however does have a few of my favourites, so I might pop down to it. 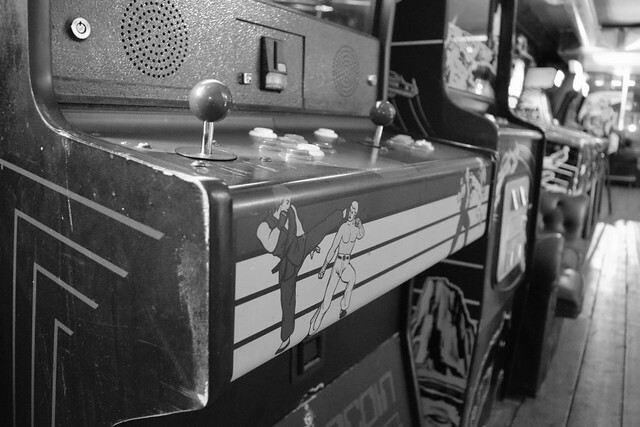 Oh, also the Heart Of Gaming is back open. Can you please do a report on that soon? It's well worth a look if you get a chance, I had a great evening there. Yes I did hear that the HoG has re-opened in Croydon, I'm looking forward to checking it out.